Former New York State Attorney General Eric Schneiderman has resigned after a bombshell report was released in the New Yorker in which multiple women claim that he physically and sexually abused them. Ironically, Schneiderman has fancied himself a champion of women and the #MeToo movement in recent months, vocally supporting women speaking about against abuse. As his prominence as a voice against sexual misconduct has risen, so, too, has the distress of four women with whom he has had romantic relationships or encounters. They accuse Schneiderman of having subjected them to nonconsensual physical violence. The article delves into graphic detail of encounters between Schneiderman and named women who he allegedly beat and forced into demeaning sexual acts. 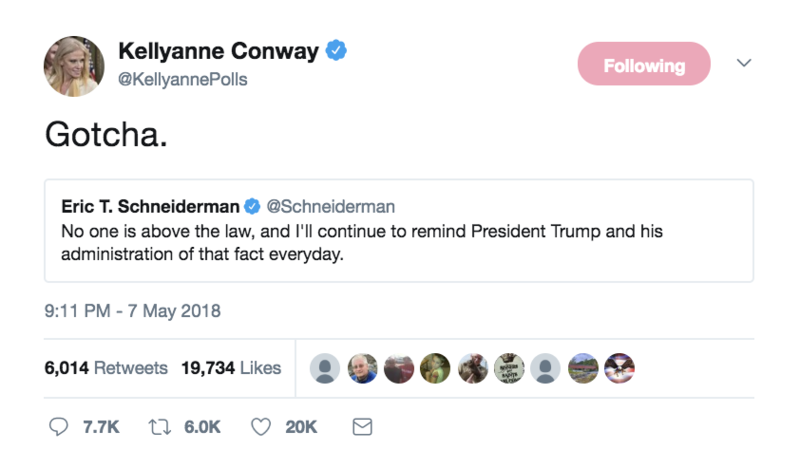 After the report, White House advisor Kellyanne Conway quote-tweeted Schneiderman, saying, “No one is above the law,” in reference to the Trump administration. The official Panned Parenthood political action Twitter account made the bewildering decision to attack Conway for shaming the alleged woman abuser. 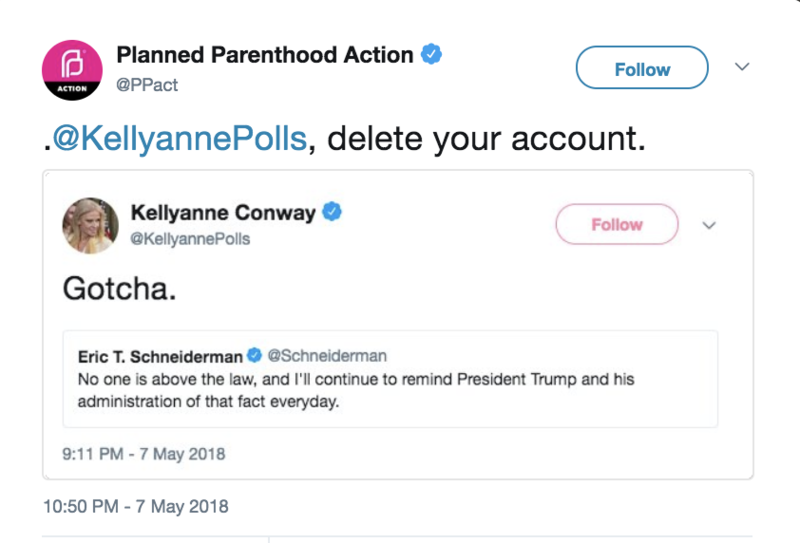 PP told Conway to “delete” her account. The organization that prides itself as “defenders of women” attacked an accomplished woman for criticizing a man who allegedly choked, slapped, punched, spit on and sexually demeaned multiple women. 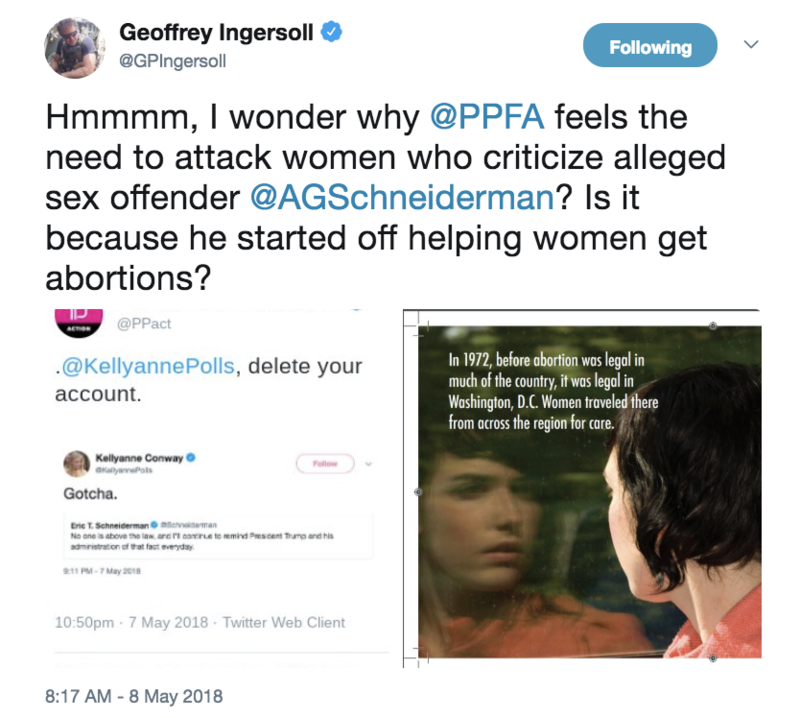 Daily Caller editor-in-chief, Geoffery Ingersoll, pointed out that Schneiderman has been a supporter of Planned Parenthood his entire political career. 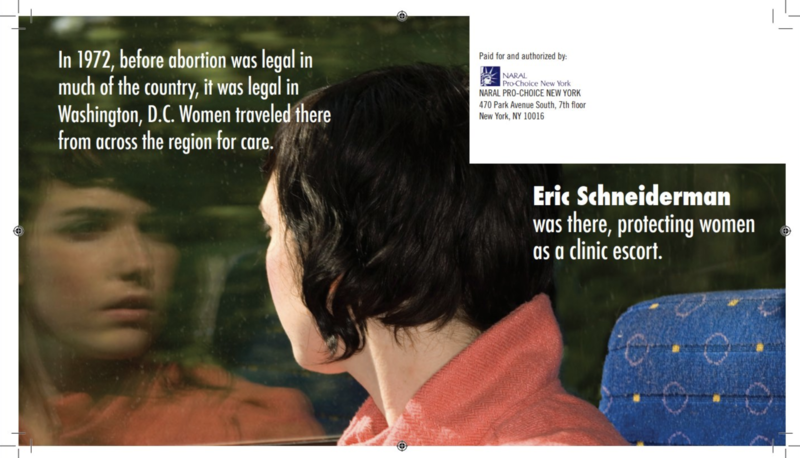 Here is a copy of a pro-abortion mailer on behalf of Schneiderman, claiming he escorted women to get abortions when the practice was illegal in most of the country. In lieu of the allegations, Schneiderman has since resigned.